It’s very tempting for job seekers—especially if they’ve sent out many resumes without receiving positive responses from employers—to bump up their qualifications. One common way job seekers do this is by insinuating you’re fully licensed to practice (and in good standing) in a jurisdiction, when in fact you’re not. If you’ve passed the bar exam, but haven’t been sworn in, then isn’t it okay to say you’re admitted? If you just have to finish the paperwork to waive into your local district court, then isn’t it okay to let the reader assume you’ve already done that? If you know you’re eligible to waive into another jurisdiction, can’t you imply that you’re already admitted? That’s just paperwork, isn’t it? 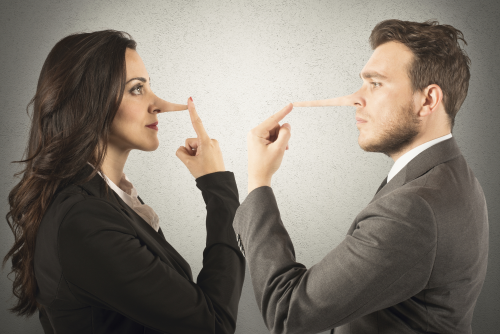 Sure, little white lies like this might be more appealing to prospective employers. They might even work sometimes—increasing your chances of getting an interview and even a job offer. That’s of course why they’re so tempting. But, as we’ve said before, they aren’t harmless. They’re lies. And those lies are time bombs waiting to go off. Perhaps those lies will be discovered in the hiring process during a background check. Perhaps they’ll be discovered six months from now. Or six years from now. Or never. But they will still be there. The news is full of stories where lies were discovered—years later—and cost the person his job, or cost a candidate an election, or simply caused embarrassment. Remember lies about your education are easily uncovered by reviewing your transcripts. Again, employers can and do require Certificates of Good Standing as part of the hiring process. Remember our rule (which can’t be stated too many times! ): everything on your resume must be able to pass a background check. That’s the big difference between “presenting things in the best light” and lying.